Educational philosopher Maxine Greene and her writing about aesthetic education has been very influential in my teaching and learning life. 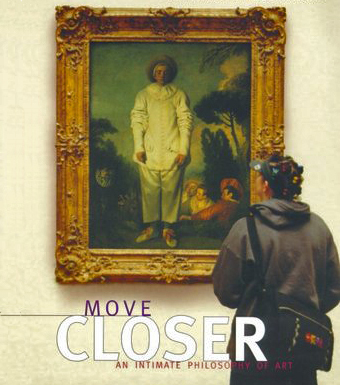 Greene reminds us of our responsibility to help students feel moved by a work of art. 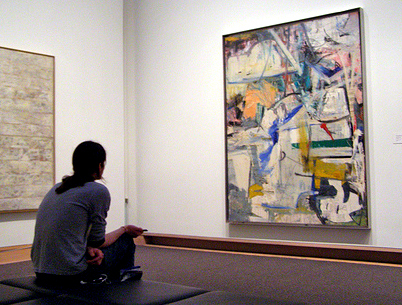 When my students look at a work of art, I want them to come away with new understandings that get them to ask further questions–questions that might lead them to rethink their worlds. With my students, this often means introducing informational text after deep looking, thinking about what the information adds to our initial understanding, then establishing new curiosities that arise from both. Here, knowledge and experience seem inextricably intwined. Clare – thanks for mentioning Maxine Greene. She is also an amazing thinker along these lines. Mike–thanks for reposting this! I’ve also been thinking a lot about these issues, especially in the context of student audiences. I think many educators remain uneasy when there is no clearly defined learning objective; but, in keeping with the shift toward student-centered learning, it’s important to talk about the benefits of teaching methods that encourage slow looking, thoughtful reflection, and conversational dialogue. I keep coming back to discussions around the need for “mindfulness” among the distractions of contemporary culture. It seems like these types of gallery experiences can help students learn important skills of patience and sustained focus, in addition to greater social and personal understanding of art.